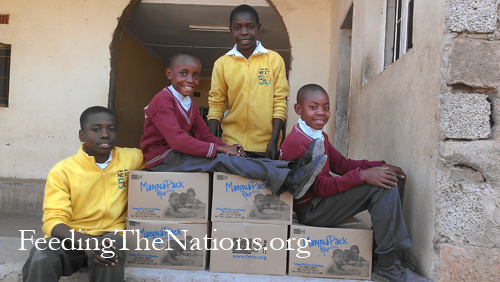 There was great joy and dancing in the streets when our partners in Zambia pulled up to schools and orphanages to distribute containers of food. They delivered 850,000+ meals in 2016—enough food to carry them into 2017. Sometimes many words aren’t necessary. And so, we share this mission update with you with few words. 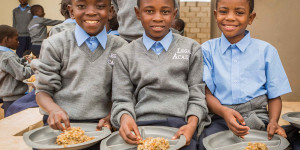 If you want to see the difference we are making in the lives of hungry children around the world, just look at these beautiful children who attend Legacy Academy Schools in Lusaka, Zambia. 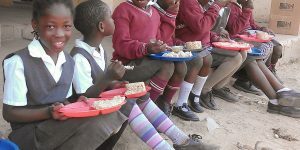 Since these children began receiving food, their teachers have noticed an increase in attention and retention in school. If you want to be a part of something good, click the donate button below. Don’t think you can make a difference in the life of someone on the other side of the world? The truth is it doesn’t take selling all your worldly possessions and stepping onto an airplane to impact lives of those in need around the globe. Want proof? 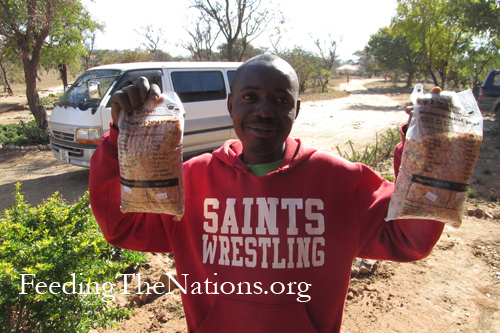 Take a look at what Feeding The Nations is doing in Zambia right now. 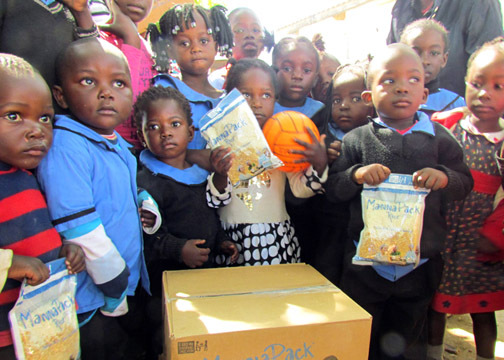 Through our partnership with organizations like Gleanings for the Hungry, Stop Hunger Now and Feed My Starving Children, we feed over 10,000 kids each day in Lusaka, Zambia, who are being served by Family Legacy Missions International. 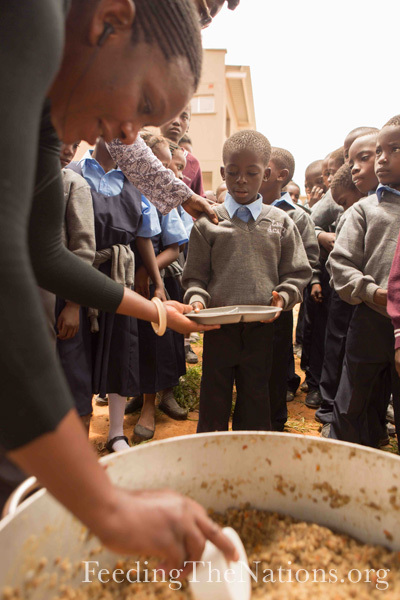 Recently, we provided over 870,000 meals that will be distributed over several months. The supplies in this shipment will bless students at Legacy Academy schools and elsewhere over the months to come, giving them food security, so they can focus more on studying. 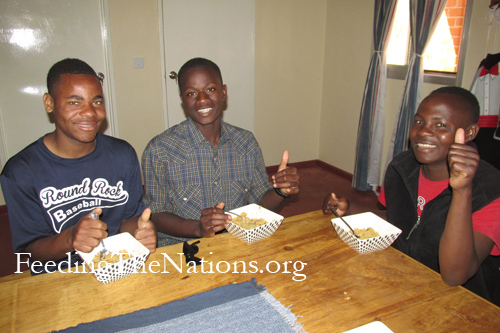 Meals also went to over 600 orphaned and vulnerable children living at the Tree of Life Children’s Village. 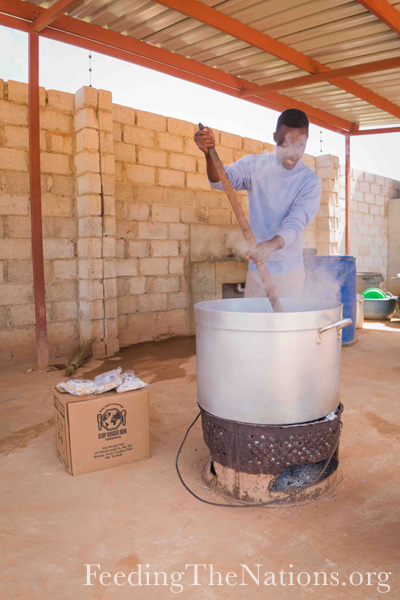 Not only did the food offer important nourishment and something beyond the more common staple of corn meal, but it also gave the children the chance to cook. As a result, the children had the opportunity to practice a vital life skill and they were more attentive in class thanks to full bellies. Thousands of children are being fed each day because of people like you, people who are on the other side of the world, but who want to make a difference. These photos show just a handful of the lives that have been touched as a result of someone else’s generosity. 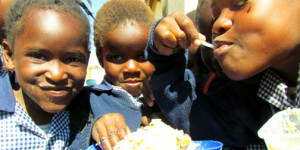 You can help us reach more children with food and hope by simply joining with us today. Any amount you give can make a big impact on the lives of these children. Simply visit our donations page for more information. 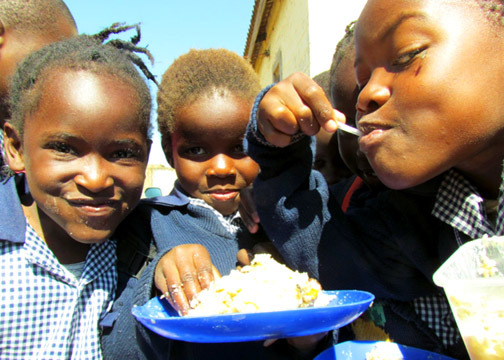 For years, we have been committed to feeding thousands of children in Zambia each day. 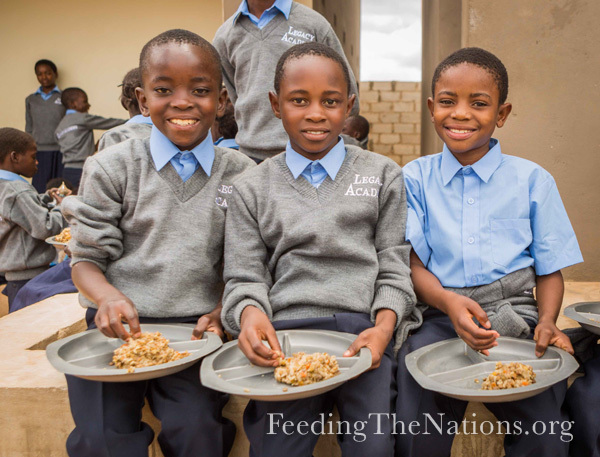 Thanks to our partnerships with Feed My Starving Children and Missions Touch Ministries (MTM), we have been feeding 12,000 children one or two meals a day in 35 different schools and orphanages. 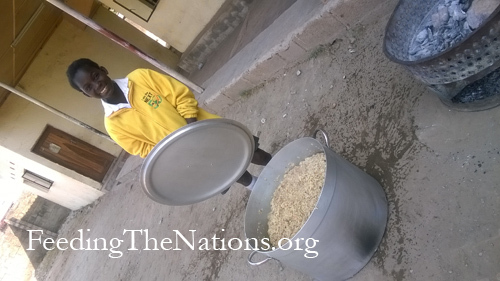 One of those schools is Emmanuel Lutheran Community Schools where our efforts nourish 250 students each day. They really appreciate the great effort by MTM and its partners around the world to visit and bless them. Many of these children would suffer from mal-nourishment and would not show the energy and alertness of other children without the help of MTM and its suppliers. These preschoolers at Firebrand Church Community School have just started eating a meal at school in the past week. They are very curious about us and will be looking forward to eating the rice meals. This is a small community school caring for orphans and children whose parents are gone all day. So, if you’ve ever wondered if your donation makes a difference, know that it does. 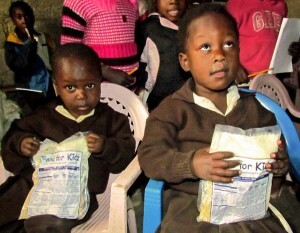 Your partnership with us makes it possible to reach these hungry children in Zambia with the food and nutrition they otherwise would not receive. Thank you to everyone who has made missions like this one possible. 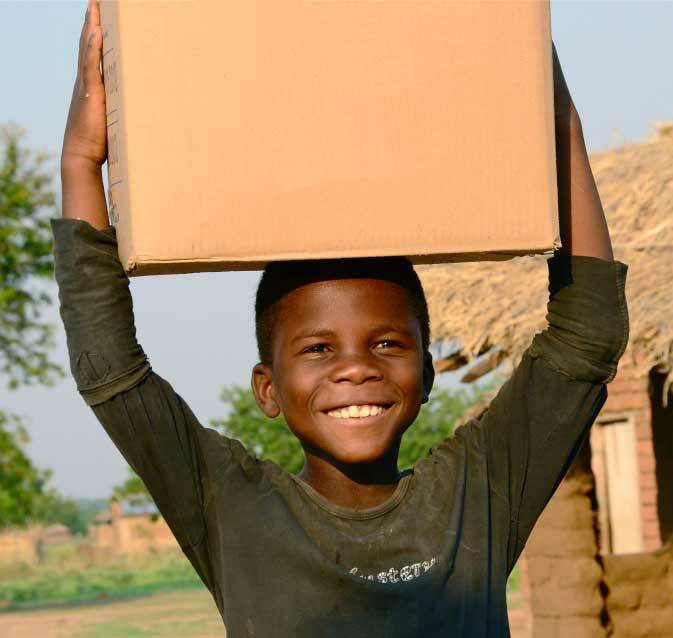 Your donation makes a difference in the lives of children around the world. 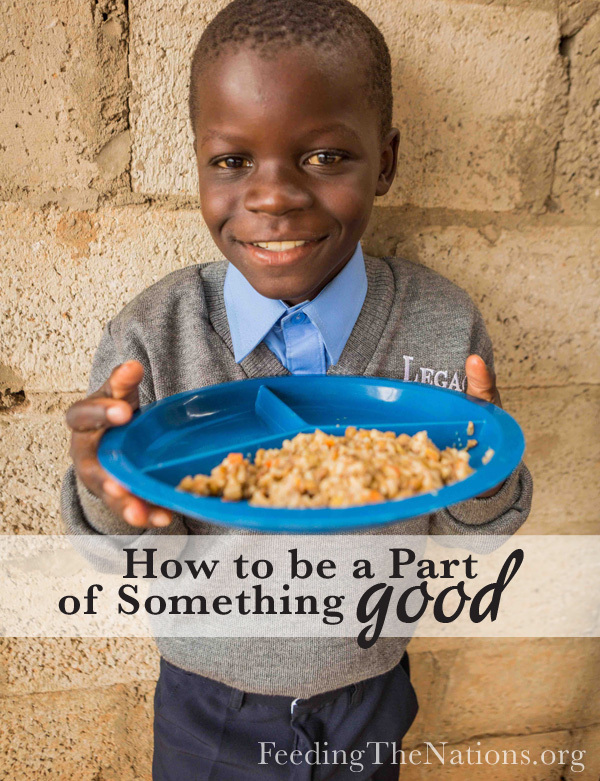 Join with us today to reach more hungry children around the world. Simply visit our donations page for more information. 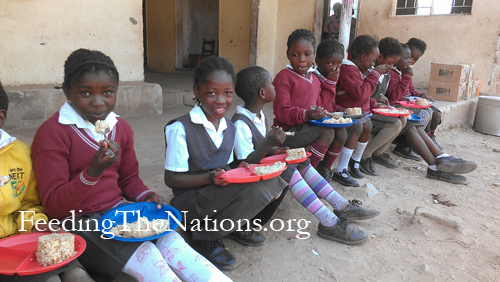 FTN has been working with Missions Touch Ministries (MTM) to provide 12,000 children in 35 different schools and orphanages with one or two meals each day. These children don’t have any other means of support and many still live on the streets. 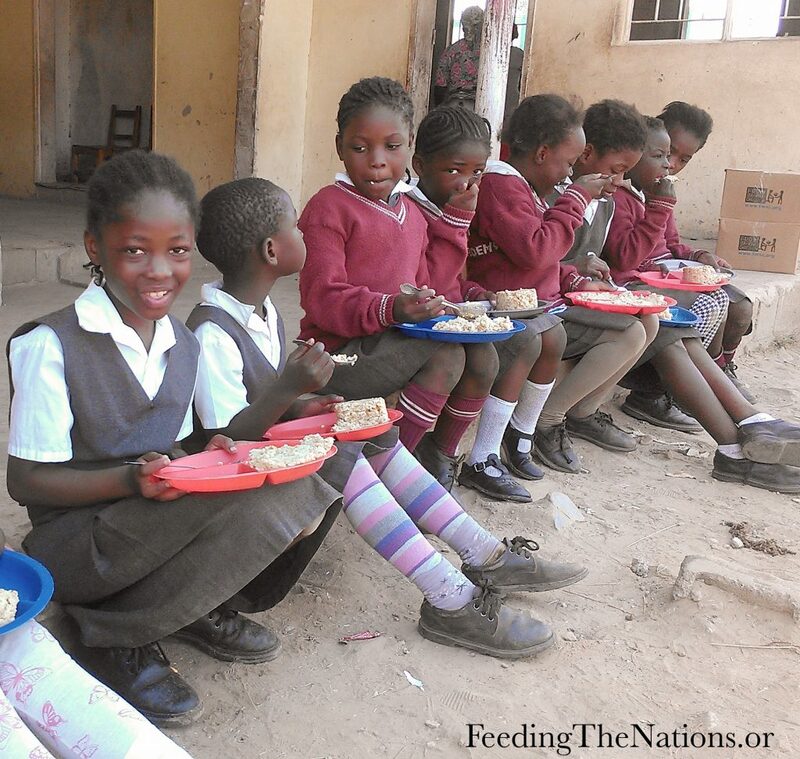 When the feeding programs begin in schools, enrollment doubles, as this is often the only predictable food source for these children. 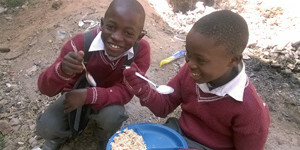 Energy levels, alertness and school attendance all greatly improve after being in the program for a few months, just as Maxwell and his sister Monique (pictured below) experienced. 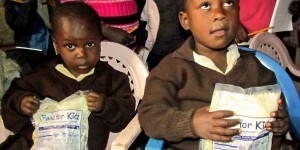 These preschoolers came to Blessed Favor Christian School quite malnourished. Maxwell was very weak and did not have the strength to play or participate in school activities. Six months later, both children are flourishing. We are also working with Family Legacy International to provide 4,000 children in 17 different schools and orphanages with a meal each day. Since the program started, Family Legacy has seen amazing results. Caretakers who once refused assistance now ask for their children to join the program, and attendance has increased and become more consistent. 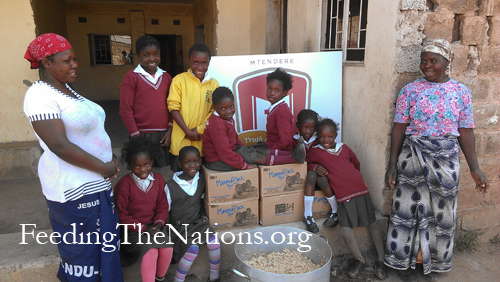 Thank you to all who have supported our efforts in Zambia. The waiting list to receive food continues to grow. But, you can help. 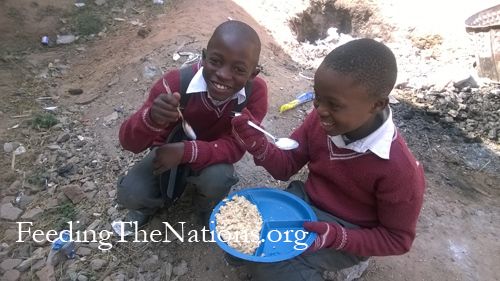 Please join with us to reach more children with the love and food they so desperately need.